When reality meets and blends with the imagination, VFX begins. The demand for VFX has been rising relentlessly with the production of movies and television shows set in fantasy worlds with imaginary creatures like dragons, magical realms, extraterrestrial planets and galaxies, and more. Visual FX helps transform the ordinary into something extraordinary. 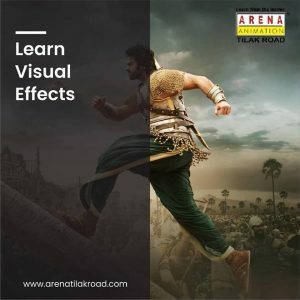 Arena Animation – Tilak Road is the Authorized training center of Foundry to teach VFX using NUKE. Nuke®, NukeX® and Nuke Studio® offer cutting-edge toolkits for node-based compositing, editorial, and review. The Nuke family’s unparalleled flexibility and collaborative workflows help you get the highest quality results—fast. The VFX industry is estimated to grow at the rate of 17.2 percent over the next 4 years to reach a size of 131.7 billion, driven by a steady 9.5 percent growth in animation and a 25 percent growth in the VFX segment. India has evolved in terms of skillset which has helped local & domestic studios work for Global Visual FX projects. The Visual FX Industry is expected to hire about 2,500-3,000 personnel in the coming year. Films and Television – The increasing use of Visual FX across the globe and in Indian films and the stupendous success of these movies with its spectacular visual effects have led to the advent of an even greater number of studios specializing in Visual FX. Advertising – Use of Visual FX in advertisements is on the rise, helping products stand out in this cut-throat world of competition. Gaming – From intellectual games to gore to fantasy games, the demand for video games across genres and ages is on the rise. 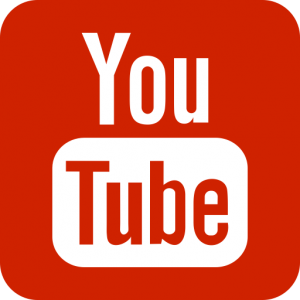 Internet – The internet is here to stay and its reach is only going to grow further. There is a growing demand for Visual FX professionals to build websites and microsites and create digital content that is of the next level. Wide Range of Job roles for students? Discover how artists and studios around the world use Nuke to push the boundaries of creativity and deliver epic results, from VR projects to the biggest feature films. Peter Ellenshaw and Albert Whitlock were one of the best matte painters, they worked in various movies as a matte Painter artist Such as “Peter Ellenshaw – Marry Poppins (1964) and The Sword and the Roses (1954)” “Albert Whitlock – The Bird (1963) and The Hidden burg”. “Titanic” was one of the last movies to use digital and then came Digital Matte Painting, the concept was the same but the difference was now, it was painted digitally. Christopher Leith Evans was the first person to paint matte painting on the computer. Lord of the Ring, Harry Potter, Narnia and even more are some of the best examples of digital matte painting. 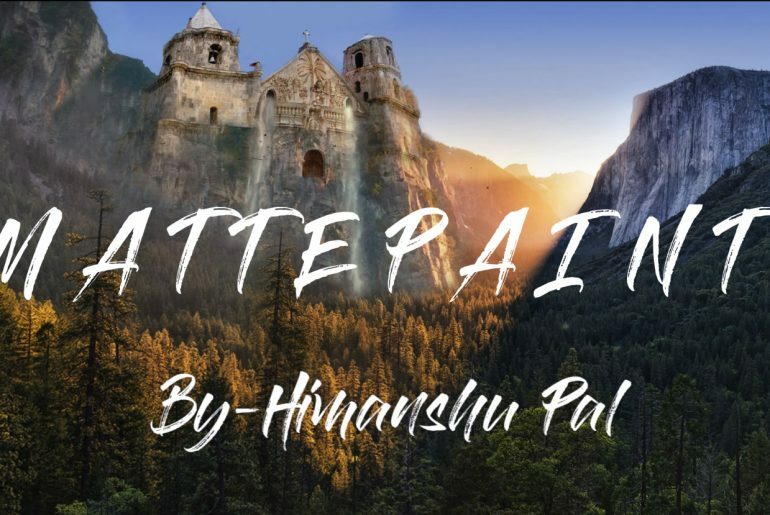 Creating a Matte Painting Digitally not only allowed to create a matte paint fast and easily but also made it 3 dimensional to give a more realistic look, Basic software that is used in filmmaking are Maya, Adobe Premiere, Adobe Photoshop and of course Nuke. 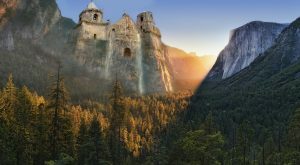 For creating a basic 2d matte painting we use Photoshop. It starts with an idea, a concept, what are the scene requirements. Once all things are checked in the list now collect images as per the requirements. Images can be self-clicked or downloaded from the internet but it should have a copyright or else you will need a permission to use it. It would be always easy if one starts with a making rough sketch since it gives an idea of what is to be created. Now import all the selected pictures and apply the mask on it and paint the required part. Job Opening in Carterrock Infotainment- Khar (W)- Mumbai. Note: Students will be shortlisted on the basis of technical test. Please send your resume to arenatilakroad@gmail.com or contact us on 959590622. The career involving Photoshop in the Media & Entertainment sector is massive. Photoshop opportunities can be found in areas like Film editing, Photo editing, UI design, Digital painting, Matte painting and even more. 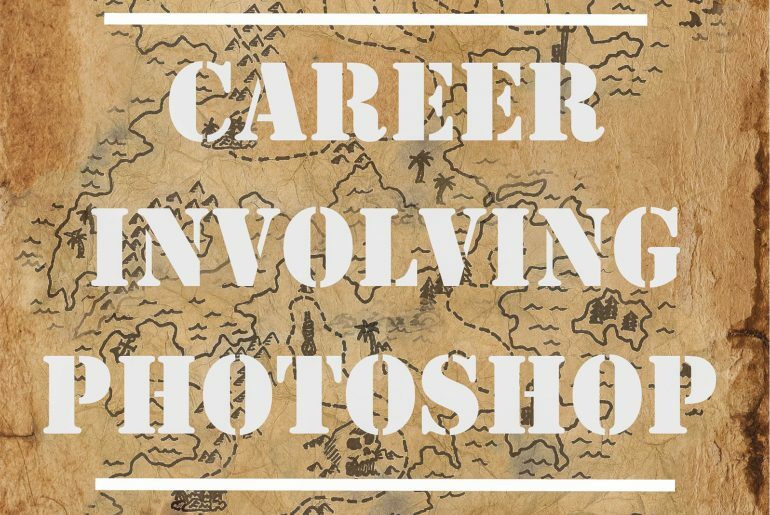 Aspiring students looking for a career involving Photoshop must first understand the history of Adobe Photoshop. Photoshop is considered to be the most powerful and popular image editing software in today’s market among thousands of image editing software, Photoshop is a graphic raster-based image editing software or in a layman’s language, you can define it as a creative hub. Besides, this also allows you creating whatever you imagine. What makes Photoshop the most powerful software? Photoshop allows you to work on layers which helps to work on other images without interacting and mixing the pixel of those images. Moreover, we can add them or delete them at any time we want. Adobe also introduced with CC (creative cloud) which allows working smarter with all adobe application. It also syncs your settings, fonts, and colours – available across your desktop and also on phones. There are many other features such as Camera Raw Filters, Liquefy, Stylize, etc. which has changed the world and especially changed the life of a graphic designer. When & who created Photoshop? Two brother’s from America Thomas Knoll and John Knoll created a software in 1987 which they state as a coincidence and a circumstance that came together at the right time. Thomas used to share his utility routines with John. John requested Thomas for more tools as he was interested in creating graphic images. After a lot of brainstorming and discussions, Thomas combined all the tools into a single application and named it as Photoshop. Prior to that, there were few other names such as Display, Image Pro, Photo Lab. The brother’s sold the distributed license to Adobe system in the year 1998 and the first version ‘Photoshop 1.0’ was released on 19 February 1990. Photoshop gave the extensive power to Print and Publishing business and Multimedia industries as well. “The Abyss” was the first movie to use Photoshop and John Knoll himself worked as a graphic designer for this movie, while Thomas Knoll is still working with Adobe system on the updates. Adobe Lightroom, one of his recent updates is a Camera Raw Plugin. 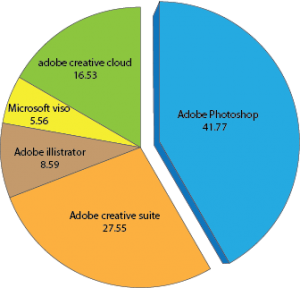 As per the survey of idatalabs, Photoshop in Graphics and Photo Editing categories is considered to have about 41.8% of market share. There are 168,609 companies that use Photoshop out of which 79,528 of companies are of United States and 5,937 companies are of India. Moreover, people are not aware that software industries (12,255) are the largest customers for Photoshop, whereas the design companies are only 3,444. Many people have a misconception that every graphic designer ends up as an animator or in the entertainment industry whereas there is massive Career involving Photoshop in Branding, product design and even more. Branding is not only a method of communication but also it is a way of providing a unique identification to a company which help in giving recognition to a company. Now, what a designer has to do with branding? A designer is the one who designs logos, letterheads, posters, broachers, pamphlets and even more for the company. Every day we get acquainted with new products on the market, ever imagined what is the process behind it? Product designing is putting creativity and logic together. An Idea or a concept is a root of all creation which is then followed by preparing a 3d model on the software like Maya, 3Ds Max and even more, texturing the product is done in Photoshop. Multimedia designers are basically who combines various graphics, text, audios, animation together it is used in the gaming industry, e-learning, web development and even more. Various software like Photoshop, Premium, Audition is used for multimedia designing, Photoshop is used for image manipulation, image editing etc. Everyone loves watching movies and T.V shows. Have you ever imagined how these characters are flying or how the city destroyed in superhero and sci-fi movies? 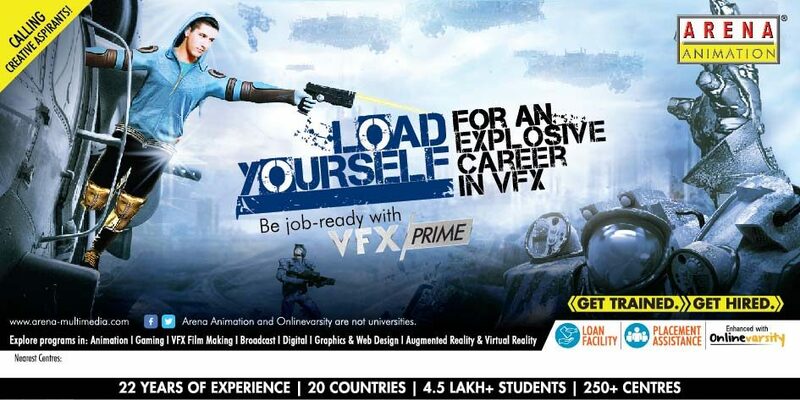 Well, the answer is simple “Visual effects – VFX”, which requires software such as Nuke, Photoshop, Premier. Along with the above-mentioned fields other career involving Photoshop is freelancing, there is enormous work to get online some of the websites where a freelancer can find works are www.upwork.com, www.freelancer.com, and even more and another option is www.behance.net by “Adobe” where they provide a platform to showcase one’s work and discover others creative work. Many students who want to opt. designing as a career has a common question “where do I start from ?”. Self-learning can always be an option through online tutorials, blogs, books, etc. 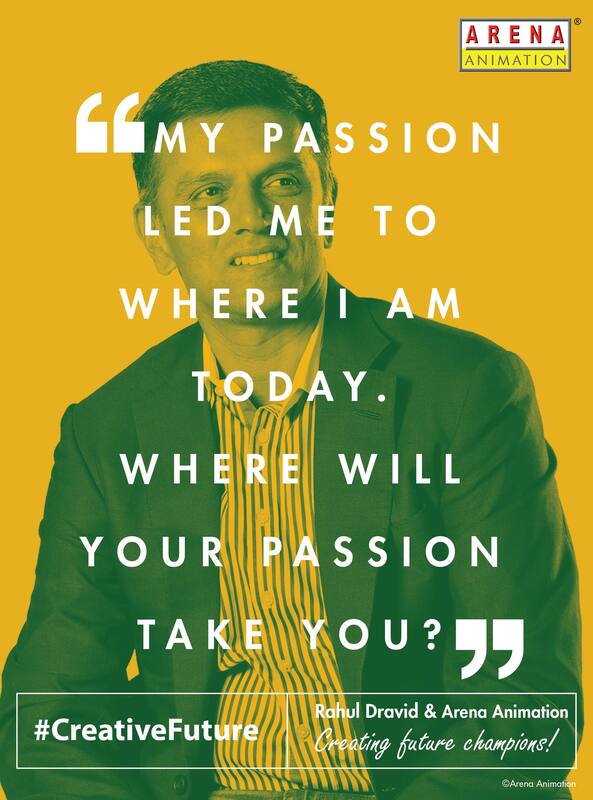 but one has to be committed towards it and spent at least 2 to 3 hours daily. Another option is joining a college or institute which provides you with a degree or a diploma this obviously will help you but to some extent, because this field solely depends on ones potential and creativity. Arena Animation Institute of animation is a great option but why? 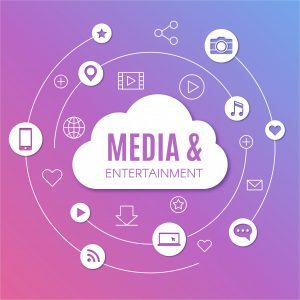 Arena animation prepares equips its students with the skills required to become employable professionals in the Media and Entertainment Industry through latest tools and technology, honing talent with technique, Real Time exposure via formal and informal events and even more. Animation industry in India is expected to reach INR 82.9 Billion by the end of this year and by 2019 we expect the TV commercial market in India to reach INR 975 billion. Towards the end of 2020, we expect the Multi-media and Web industry to increase by 13%. Because of the rise in usage of Internet and Smartphones, the need of Animators, Graphic designers or UI designers and Web developers or UX developers is going to reach at least 5 million. Besides this the Media and Entertainment sector is growing rapidly in India and is expected to reach INR 6700 Billion by end of 2019. Vast Reach of Animation Industry. Beside these the Animation industry also offers opportunity in Science, Engineering, Commerce, E-commerce, Medical Science, Manufacturing, 3D Printing and many more. Along with the Media and Entertainment, almost all other sectors in this world are directly or indirectly making full use of the tools like Adobe Photoshop, Autodesk 3Ds Max, Maya, Unity and many more. Because of the high demand of skilled progessionals, the animation industry is growing at a massive pace. training them on the latest tools. honing their talent with technique. giving them a perspective through industry connects vis formal and informal events. creating platforms that recognize their talent. giving them an edge during the recruitment process through pre-interview preparation. Choose from Wide Spectrum of job oriented programs. Arena Animation Tilak Road has over the years kept pace with the changing needs of this dynamic segment by introducing a slew of job oriented programs. As a result of this students are highly employable post completion of the program. Graphics Web Design and Development. Digital Marketing and Advertising Design. Arena Animation Tilak Road, students have started their careers in leading organizations across industry segments. Following are few of the notable companies where Arena Animation Tilak Road students are climbing new heights and reaching closer to their dream of making a creative extravaganza. The world awaits you so that you can unleash the power of creativity with Arena AnimationTilak Road. For information please stay tuned. We would be bringing lot many articles based on various topics. In case you have any specific topic you would want us to cover feel free to write a comment.